The Arts and Culture Committee (ACC) was established in 1956 as a volunteer group and later was taken under the umbrella of the Town of Greenburgh. Its mission is 1) to stimulate creative and critical thinking about the arts and their value; 2) to preserve, continue and enrich the multi-cultural artistic and intellectual traditions; 3) to make access to the arts and ideas available to the entire general public of all ages and conditions, in circumstances which invite maximum participation without economic discrimination. 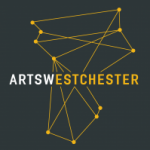 The ACC has long been recognized throughout Westchester County as a leader in free arts and culture programming which enlightens and entertains. Its diverse programs are attended by people of all ages – from tots to senior citizens – and all races. It received the Westchester Arts Council’s Millennium Award for Community Arts Education. Along with poetry readings, talks and art receptions, its projects include exhibits of paintings, drawings, and photographs by area artists; an art gallery at Theodore D. Young Community Center dedicated to the display of original art, in all media, by children under 18 years of age; an annual poetry competition for adults, students and juveniles, with winners’ and finalists’ poems published in an anthology, Let the Poets Speak; the Kids Short Story Connection, a spring and fall series of creative writing workshop for 9 to 18 year-olds who love to write, and publication of their annual anthology, “Short Stories by Me;” an annual arts extravaganza jointly sponsored with the Department of Parks and Recreation; The Poetry Caravan – a network of more than 36 local poets who voluntarily take their poetry into Westchester venues such as senior centers, assisted living facilities, nursing homes, shelters, and jails, and read from their original work and conduct poetry writing workshops; an annual fall flower show with the Parkway Gardens/Parkway Homes Garden Club; the Brenda Connor Bey Legacy Series: Learning to See,” poetry workshops that use the visual arts to create original work (for novices as well as experienced poets); and “Matters of the Heart,” an annual exhibit of 125 artists over the age of 55 who share with the public their love of art.